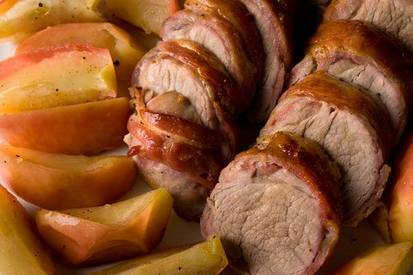 Juicy pork tenderloin meets crispy Bacon and savory-sweet apples. The addition of apples makes it the perfect fall meal! Simple enough for a weeknight, but impressive enough for a dinner party. All I know is I want some now!